With SalesHandy’s Gmail read receipt plugin, get live desktop notifications whenever your emails get open without recipient knowing. No need to request for Gmail read receipts to recipients. Your recipients will see tracked Gmail messages same as previous emails. Install SalesHandy’s chrome extension and sign up to connect your Gmail/G Suite account with SalesHandy. Now enable “track” button in your compose window and start sending emails. This button will always be enabled so no need to click every time you sent an email. You can change settings in the SalesHandy app if you don’t want to track every email. SalesHandy provides detailed report of Gmail read receipt like email open rate, email open history and email replied rate. Also, you can export the read receipt report in a CSV format. Based on read receipt data, you can decide which recipients are more interested, and it will help you to set up your follow-up email or call. 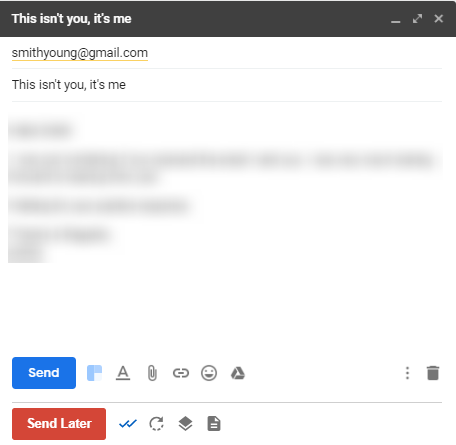 HOW GMAIL READ RECEIPT CONCEPT WORKS? It’s not a mystery sauce. 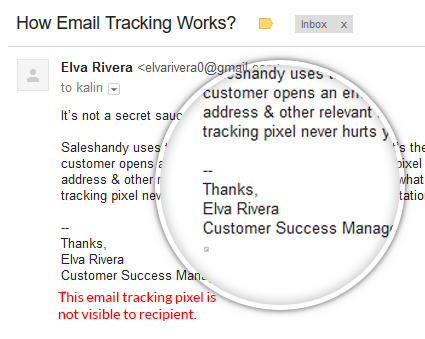 SalesHandy utilizes the standard methodology of image tracking pixel to capture Gmail read receipt. It is the same method which every other bulk email sending service provider uses. At the point when a client/recipient opens an email sent through SalesHandy, the tracking pixel implanted in your email is hit and our server gets pinged with the IP address and other applicable data about when, where and what gadget your email was opened. SalesHandy email tracking pixel for Gmail read receipt never harms your spam score or email deliverability or email representation. HOW ARE YOU GOING TO GET GMAIL READ RECEIPT WHEN EMAIL IS OPENED? So, whenever recipient opens the email with the SalesHandy email tracking pixel for read receipt Gmail, one will get a notification in desktop as a Gmail email read receipt. Also, read receipt acknowledgment will be stored in SalesHandy activity feed and reports.Users can later check for the same in case if missed the real-time read receipt. Is there any limit of gmail read receipts per day? There is No limit. You can track unlimited emails in a day and can get gmail read receipts. Will recipient know that I have sent tracked email to get gmail read receipts? No. your email will look like the normal message, but your email contains “Powered by SalesHandy” if you are a free user. You can remove SalesHandy branding by upgrading SalesHandy. How to see if an email was read on gmail if I miss desktop notification? 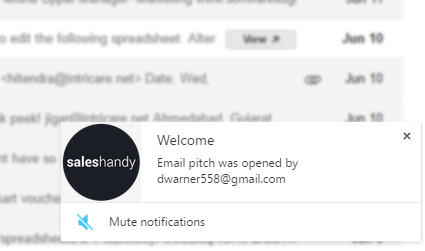 You can see whether your email has been opened or not in SalesHandy app. Also, you can know open rate, last open time, reply information and option to mute the notifications. How to enable read receipt in gmail? It’s ridiculously simple! After adding chrome extension send your email normally. Just make sure tracking button is enabled(Green) before you hit the send button. Want to know if recipients are opening your emails or not?